HOME PRODUCTS &AMP; SERVICES DIRECTORY OF SUPPLIERS JINGJIANG NAIR MOTION TECHNOLOGIES CO., LTD.
Jingjiang Nair Motion Technologies Co., Ltd.
JingJiang Nair Motion Technologies Co., Ltd.. have design, manufacturing and logistics facilities in China. We bring you a wide range of dc gear motor, brushless dc motor, stepper motor which can be engineered to meet your exact requirements. We focus all of our product, application and motion experience on your specific requirement. Working together we can help you gain a competitive edge, providing solutions from unique customization options to complete systems, engineered and delivered to optimize and add value to your operation. 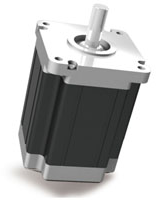 Our motors are designed to meet a wide range of performance characteristics. Whether it's smooth, quiet operation, long life, high torque or rapid acceleration, and will bring optimum performance to your application. View More Product Announcements from Jingjiang Nair Motion Technologies Co., Ltd.